The 2018 Exit Planning Summit is the most significant advisor event in the industry with a massive lineup of education, activities, and events to experience in a few short days. On top of 6-star-rated education, once-in-a-career keynote sessions, charitable fundraising, and influential networking, the Summit connects you with premier exit planning providers and partners, charitable efforts benefiting the local community, world-class facilities for your rejuvenation, annual acknowledgement of excellence, and an all-star lineup of experts and influencers to feed your creative needs as a CEPA and leader. There is a lot going on in a truncated amount of time, so to help you get the most possible value from your Summit experience, make plans to attend the upcoming webinar, “Your Insider’s Look: 2018 Exit Planning Summit,” presented by Scott Snider, where he will break down the schedule of events, expand on highly-anticipated sessions, and give you the insights that tie together the purpose behind the theme. Every year, the EPI community gathers the top 200+ advisors from across the industry (and the world) at the Exit Planning Summit. A major part of the Summit experience and value is that EPI has built a strong, collaborative network of solution providers specifically geared toward supporting advisors like you in changing the outcome for exiting middle market business owners. This annual broadcast series offers attendees relevant introductory educational topics presented by esteemed experts a part of the Exit Solutions Partner Network. You will have an opportunity to ask questions, connect with the presenter, and continue the conversation both during and post-broadcast. For questions about this specialty topic, the presenting firm, or the Exit Planning Summit, please contact Josh Koza at JKoza@Exit-Planning-Institute.org. Navigate to the EPI Member Center now to download your 2018 Exit Planning Summit materials, the “Fishing for Value” case study, and many presentations! Click this link to login now. The Exit Planning Summit is the “Super Bowl” for Exit Planning Experts, Advisors, and Middle Market Business Owners. It contains the best content taught by top experts in the marketplace. The Summit brings together 200 of the top CEPAs a part of EPI, combined with other leading advisors, thought leaders, and partners within the exit planning space. This September in Nashville, advisors from across the globe will gather to learn the latest in exit planning while immersing themselves in a big conference atmosphere with a interactive, workshop personalized feel. The highlights for the 2018 Exit Planning Summit will expand your view, challenge you to greater heights, and reinvent the way you approach the middle market. Scott Snider is the Vice President of the Exit Planning Institute (EPI) and the Operating Partner of Snider Premier Growth, a small family investment company. At EPI, Scott is responsible for the strategic direction of the organization along with overseeing the company’s operations and chapter development. Since joining EPI, Scott has expanded the organization regionally, nationally, and globally, providing a transformational educational experience to advisors from all specialties across the globe. He leads his EPI Global team from the Cleveland headquarters office. Scott Snider is a nationally recognized industry leader, growth specialist, and lifetime entrepreneur. Two of Snider’s biggest talents: market penetration and rapid growth strategies. In fact, Snider launched his first business at the age of 17, which he grew exponentially, winning accounts from larger competition, and establishing notoriety in his local marketplace. 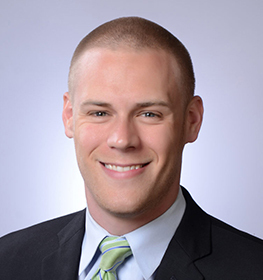 At 24, he sold to a strategic buyer (his first “exit”) and joined forces with Chris Snider’s private exit planning and M&A firm, Aspire Management, who at the time, was looking to dominate Northeast Ohio’s exit planning space. Within one year, Scott took Aspire from an unknown startup to one of the most influential boutique advisory firms in Cleveland, citing over 13 publication pickups, a full client book, and a COI network that included every specialty from across the exit planning ecosystem. With their passion for business strategy and serving owners and advisors alike, Snider and Snider purchased the Exit Planning Institute (EPI), introduced the Value Acceleration Methodology, wrote an award-winning book, and effectively increased the business size by 10x. Scott Snider thrives on helping advisors learn how to educate clients, achieve market distinction, and deliver real results. Formed in 2005 to serve educational and resource needs of financial planners and wealth managers, CPA/accountants, attorneys, commercial lenders, M&A advisors and business brokers, management consultants and other business advisors, the Exit Planning Institute (EPI) is considered the standard trendsetter in the field of exit planning across the globe. It is the only organization that offers the Certified Exit Planning Advisor Program (CEPA) and qualifies for continuing education credits with twelve major professional associations, making it the most widely accepted and endorsed professional exit planning program in the world. EPI is an education company that certifies and supports more than 800 CEPAs (and counting) as well as thousands of advisors worldwide through national, regional, chapter, and virtual education. Explore our history and make plans to play a part in our future. Connect with the best industry solutions.